Enoki ice is hot! 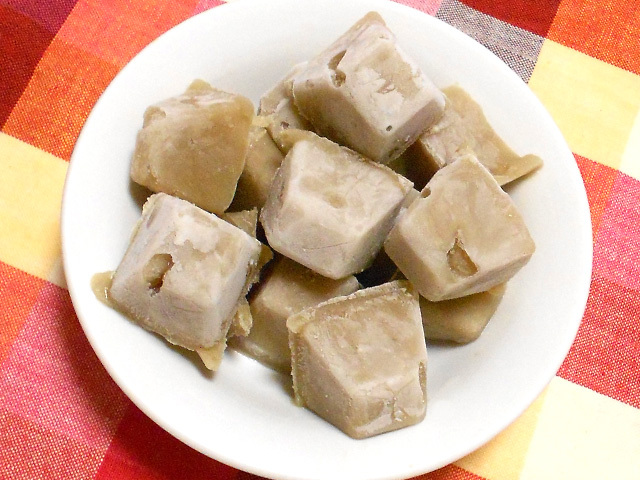 Adding 3 enokitake ice cubes to your diet each day may help you lose gut fat. 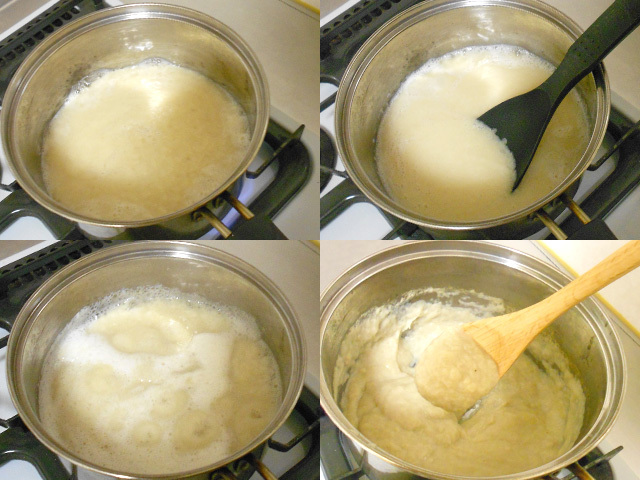 Instructions on how to make enoki ice with step by step pictures. Enoki mushroom ice also known as enoki ice is gaining popularity in Japan again. 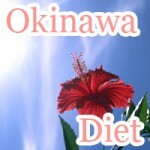 The enoki diet is a diet method to prevent lifestyle disease and obesity. It was popular in that past but recently it has been gaining followers. Eating 3 cubes of enoki ice a day may help you lose weight particularly around your gut. 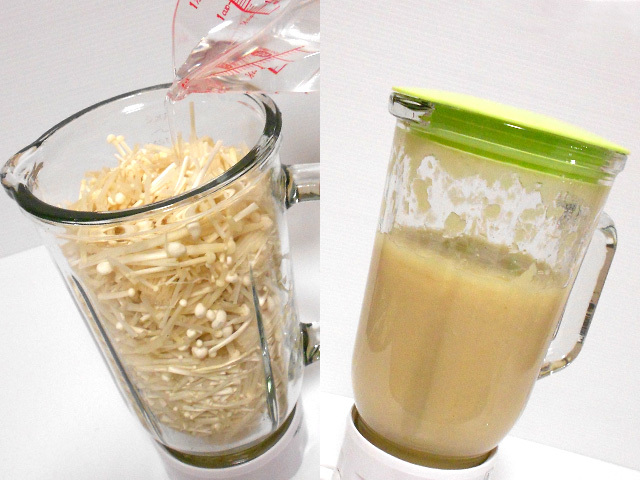 Better yet, it is so easy anyone can make enoki ice. 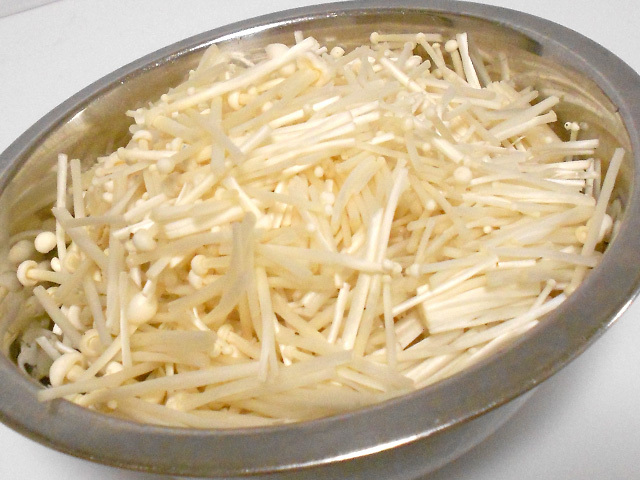 Enoki has enoki linoleic acid and enoki chitosan in addition to being high in dietary fiber. Raw enoki mushroom are said to contain as much as 2 times the fiber of cabbage. Linoleic acid, chitosan, and dietary fiber give you enoki mushroom benefits such as being able to lose body fat in your gut, control your blood sugar levels, and prevent constipation. 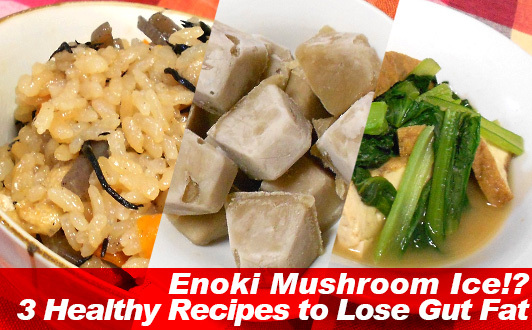 Enokitake mushrooms serve as a non-meat source of conjugated linoleic acid (CLA) that may help you decrease body fat. Enokitake mushroom CLA comes with the same weight loss benefits as CLA from meat sources. Enoki mushroom linoleic acid may help you reduce gut fat. It is said to activate enzymes responsible for burning visceral fat. Thus, helping you lose gut fat. Simply adding enoki mushrooms to your diet may help you reduce body fat. Chitosan contained in enoki mushrooms also helps you burn gut fat. In particular, it is said to help you burn body fat. There are many benefits to getting more fiber in your diet such as lowering your cholesterol levels and bringing down your weight. Another benefit of dietary fiber that is important to your diet and losing weight is that it improves blood sugar control. What better blood glucose control means in weight loss is that it results in less sugar being stored away as fat. Enoki mushrooms are rich in dietary fiber that may help you regulate blood sugar levels keeping your blood sugar from spiking. Spikes in your blood sugar cause insulin levels to increase telling your body to store fat. However, fiber may help improve blood sugar levels by dampening the effect of glucose levels on insulin. In other words, what it does is slows the absorption of sugar. By reducing the influence glucose in your blood stream has on insulin, in effect you keep your body from storing fat away. In addition, it serves as a preventative measure against type 2 diabetes. Fiber in enoki mushrooms helps return bowel movements back to normal serving as a preventative measure against constipation. You can do this by getting your daily dietary fiber. There are 12 grams of dietary fiber per 300 grams of enokitake mushrooms. That is 30 to 50 percent of the daily fiber recommended by the Institute of Medicine for men and women 50 and younger. Note that people under 51 require more fiber. Not getting enough fiber in your diet may interrupt normal bowel movements potentially causing you to become constipated. Enokitake mushrooms are a low calorie source of dietary fiber for preventing constipation. How to make enoki mushroom ice aka "enoki ice"
Note that the amount of enoki mushroom contained in the bags you buy at the store may vary. However, boiling causes water content in enoki mushrooms to drain out so it is fine even if you don't have the exact amount. 2. Place enoki mushrooms in blender and add water. Mix for 30 seconds to a minute or until reaching a pasty consistency. 3. Place contents of step 2 into a pot and apply heat. Reduce heat after it starts to boil and let simmer. Stir on low heat for about an hour. 4. Let contents of step 3 cool. Once cooled, place it in an ice cube try. Put ice cube try in freezer. Enoki mushroom ice is complete after freezing. 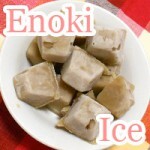 The recommended amount of enoki ice to eat daily is 3 cubes. Eating more than 3 enoki ice cubes won't improve the effectiveness of your enoki diet. Keep in mind that it is important to maintain your daily intake at 3 cubes a day. Although the calories in enoki ice cubes may vary depending on the size of ice cube try you use, the amount of calories in 300g of enoki ice remains the same. 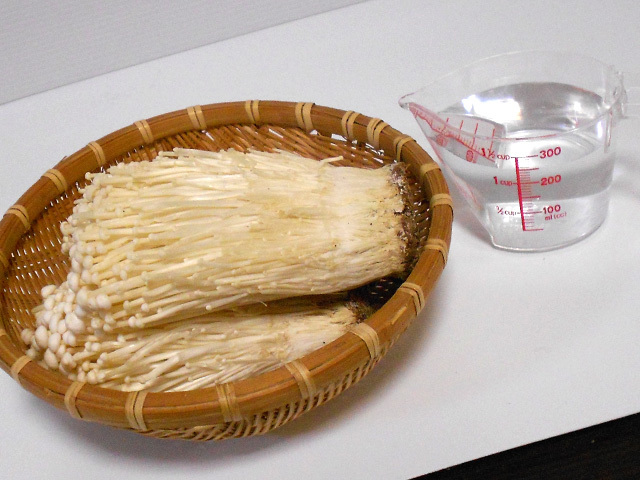 Because enokitake is low in calories, there are only 66 calories in enoki ice. That is great to know if you don't want to have to worry about calories. By the way, making 12 cubes of enoki ice with 300g of enoki mushrooms comes out to 5.5 calories. Adding enoki ice to your cooking is an easy way to add richness to the foods you cook. 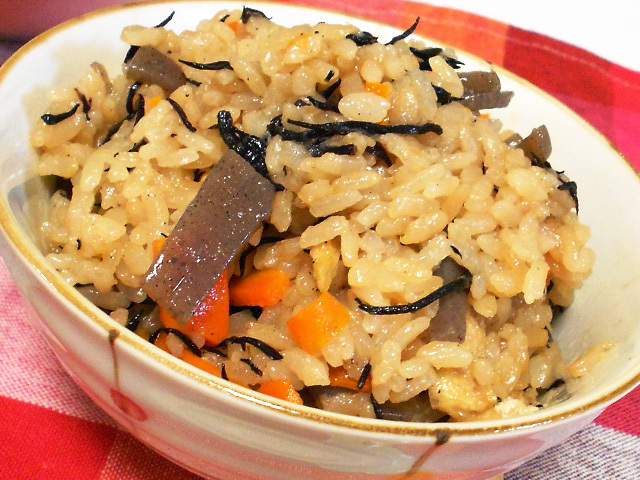 There are so many ways to use enoki ice in cooking that you will have trouble trying them all. 1. Wash rice and let soak in water. 2. Briefly wash hijiki and let restore in water. Cut carrots, fried tofu, and konnyaku into thin strips. 3. Defrost enoki ice using a microwave. 4. Place rice into a rice cooker after straining. Mix melted enoki ice with seasoning. Pour into rice cooker. 5. Add appropriate amount of water to rice cooker and mix roughly. 6. Add ingredients cut in step 2 to rice cooker and flip the switch. When you don't have time to cook or are just in the mood to eat plain white rice, you can still use enoki ice. Just add thawed enoki ice to rice cooker with rice washed before and hit the switch. Not thawing rice before cooking rice may leave an impression in your rice. Always thaw out before hitting the switch. 1. 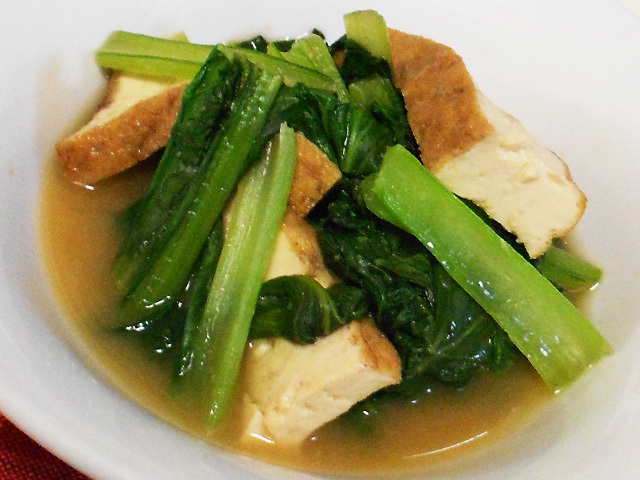 Boil fried tofu to remove oil and cut into sizes that are easy to eat. 2. Cut komatsuna leaves from root and cut into segments around 5 cm in length each. 3. Place water and enoki ice in pot and apply heat. 4. After enoki ice melts and water starts to boil, add cut fried tofu and seasoning. 5. Once seasoning soaks into fried tofu, add komatsuna and let boil for 2 minutes. For people less inclined to cooking everyday, that doesn't mean you have to give up on adding enoki ice to your diet. Sometimes all it takes is slipping an enoki ice cube a cup of instant noodles. When adding 1-2 cubes of enoki ice to instant noodles thawing out before hand is recommended. After all, who wants to eat cold noodles? - Remember melt ice before adding to instant noodles. Just as you can add enoki ice cubes to instant noodles, the same goes for miso soup. Add 1 enoki ice cube to miso soup. Don't forget to thaw before adding to your soup. Mix 1 cube of enoki ice with dressing or sauce. Adding enoki ice has little impact on taste but improves richness. Maitake are one health food and the hen of the woods that you need to add to your diet plan. With dietary fiber and beta-glucan you can get smooth bowl movements.